The entire team has arrived in Beira and are waiting for a few pieces of luggage which should be along shortly. Three members of the team, including a Portuguese-speaking trauma doctor, were sent out as a scouting team into an unassessed region. They were able to visit five medical clinics, but another six were still inaccessible. The scouting team received a report of a survivor with a severe crush injury, and after leaving their vehicle, hiking, and then riding motorbikes, they were able to reach him. The rest of the team back in Beira was able to arrange emergency flight evacuation which thankfully proved unnecessary. This process did build some key relationships for our team and created some needed procedures which will certainly prove necessary throughout the rest of the response. Tomorrow, Thursday, the entire team should be arriving at their post in Nhamatanda. 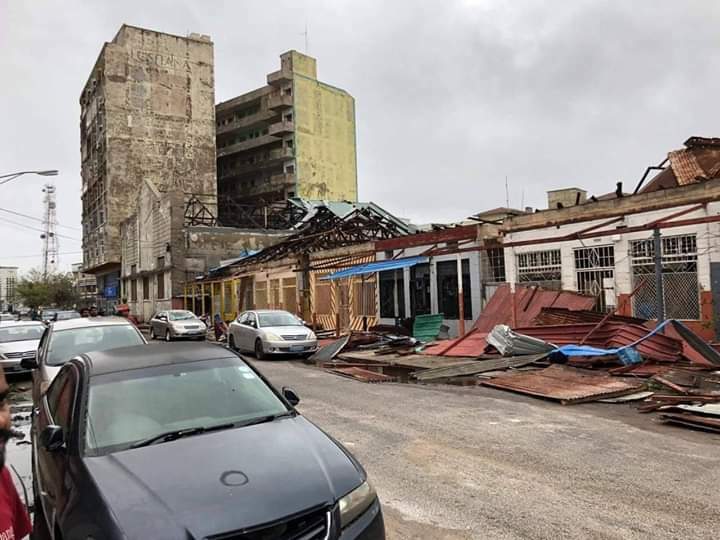 While the government of Mozambique officially reports 446 people have been killed and over 1,500 injured, they expect that number to rise dramatically as teams move into the interior of the country and send back assessments. As waters begin to recede in some areas, reports of hundreds of bodies washed up along roads have been coming in. 1.85 million people have been affected and nearly 130,000 people are in safe camps so far. Malaria is sharply on the rise among those trapped in flooded areas, and reports of cholera have begun coming in. While this is typical following a disaster of this type and scale, it is a very dangerous sign. The national medical system was struggling before this disaster and the cyclone damage, plus isolation and loss of infrastructure make getting the needed supplies and treatment all the more difficult. Please pray the team is able to get out to Nhamatanda quickly, remain safe, and provide the treatment so desperately needed by the survivors. Also pray the city of Beira, the major city most directly damaged by the storm, can be prepared for the many teams still waiting to come in. As it is, approximately 80% of the economic infrastructure of the city has been destroyed. Electricity has been restored in some areas, but is limited, with intentional blackouts in place to keep the system from being overloaded while more permanent repairs are made. Our team is very eager to get into the affected area, but vehicles are limited and roadways still damaged. Hopefully early Thursday will see them en route. Thank you for your prayers and financial donations that will help them to do the work they have been trained and prepared for.